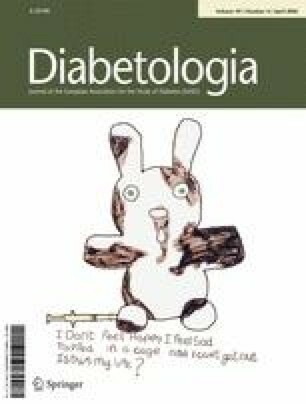 This systematic review examines the relationship between alcohol consumption and long-term complications of type 2 diabetes. Meta-analyses could only be performed for total mortality, mortality from CHD, and CHD incidence, because the availability of articles on other complications was too limited. A PubMed search through to September 2005 was performed and the reference lists of relevant articles examined. Among the relevant articles there were six cohort studies reporting on the risk of total mortality and/or fatal and/or incident CHD in alcohol non-consumers and in at least two groups of alcohol consumers. Statistical pooling showed lower risks in alcohol consumers than in non-consumers (the reference category). The relative risk (RR) of total mortality was 0.64 (95% CI 0.49–0.82) in the <6 g/day category. In the higher alcohol consumption categories (6 to <18, and ≥18 g/day), the RRs of total mortality were not significant. Risks of fatal and total CHD were significantly lower in all three categories of alcohol consumers (<6, 6 to <18 and ≥18 g/day) than in non-consumers, with RRs ranging from 0.34 to 0.75. This meta-analysis shows that, as with findings in the general population, moderate alcohol consumption is associated with a lower risk of mortality and CHD in type 2 diabetic populations. It has been convincingly shown that moderate alcohol consumers have an up to 20% lower risk of CHD and mortality than alcohol non-consumers [1, 2, 3, 4, 5]. The mechanisms underlying this association are not fully known, but may be related to beneficial effects on haemostasis and lipid metabolism . Individuals with type 2 diabetes are at high risk of CHD , and it has been suggested that they may benefit substantially from moderate alcohol consumption. We have previously shown that moderate alcohol consumption lowers the risk of incident type 2 diabetes . However, since alcohol consumption has been associated with increased triglycerides , body weight , and blood pressure [10, 11] it may have adverse consequences for individuals with diabetes. In this systematic review we examined the relationship between alcohol consumption and long-term complications of type 2 diabetes. Meta-analyses could only be performed for total mortality, CHD mortality and CHD incidence, because the availability of articles on other complications was too limited. Articles included were found through a PubMed search of literature published until 27 September, 2005. The references in included articles and relevant reviews [12, 13, 14, 15, 16, 17] were checked for additional studies of interest. Included were original peer-reviewed publications on observational cohorts or nested case-control studies in type 2 diabetic populations on the relationship between alcohol consumption and the incidence of diabetic complications. Because a non-linear relationship was presumed, papers were included if a point estimate and an estimate of variability of the complication were presented for both alcohol non-consumers and at least two alcohol consumption categories. In cases where analyses included more or fewer covariates, those estimates that were based on the model that included the largest number of potential confounders were abstracted. For studies that only reported ranges of alcohol consumption for the categories used, the mean of the lower and upper limits was used as the average consumption for that range, and 1.5 times the lower limit was assigned as the average consumption in the highest category. The averages of the consumption ranges that were used in a study were assigned to one of three alcohol categories: zero (reference category),<6, 6 to <18 and ≥18 g/day. A standard drink contains approximately 10 g alcohol in Europe/Australia, 12 g in the USA/Canada, and 21 g in Japan. Pooled relative risk (RR) estimates were calculated within the three alcohol categories. More details about the methods used can be found in our meta-analysis about alcohol consumption and incident type 2 diabetes . Fourteen prospective studies on the relationships between alcohol consumption and long-term complications of type 2 diabetes were selected on the basis of titles and abstracts of the 467 hits from the PubMed search, and following reference checking. Four studies were not included because a dichotomous estimate of alcohol consumption was used [18, 19, 20, 21], one study did not include a category of non-consumers , and one study reported on the score of an alcoholism screening questionnaire . Of the two publications from the US Physicians’ Health Study, the one that did not focus specifically on alcohol consumption was not included . Only one of the seven remaining publications involved the incidence and progression of retinopathy . Of the other six publications (Table 1), three reported the RRs for total mortality [26, 27, 28], five for CHD mortality [27, 28, 29, 30, 31], and three for incident CHD [29, 30, 31]. Statistical pooling showed lower risks for these three outcomes in alcohol consumers as compared with non-consumers (Fig. 1a–c). For total mortality the RR was significantly lower in the <6 g/day category only (RR=0.64, 95% CI 0.49–0.82; Fig. 1a). The risk of CHD mortality was significantly lower in all three alcohol consumption categories as compared with the alcohol non-consumers, and was most profound in those consuming ≥18 g/day (Fig. 1b). The RR of incident CHD was significantly lower in all three drinking categories also (Fig. 1c). To the best of our knowledge, this is the first meta-analysis on the relationship between alcohol consumption and long-term disease complications in patients with type 2 diabetes. Alcohol consumers had a 21–36% lower RR of total mortality, and a 25–66% lower RR of total and fatal CHD than non-consumers. These relationships are stronger than those in the general population where up to 20% lower RRs are found for moderate drinkers [1, 2, 3, 4, 5]. In a study not included but in line with our meta-analysis, Kuusisto et al. showed non-significant lower RRs of CHD in type 2 diabetic alcohol consumers than in non-consumers. However, other studies not included were partly in contrast with our findings, suggesting an increased risk at higher consumption levels, as J-shaped relationships were found between alcohol consumption and the risk of CHD  and acute coronary syndromes . Moreover, alcohol abuse was also found to be associated with a non-significant higher risk of CHD . Limited data exist about the relationships of alcohol consumption with other disease complications in type 2 diabetes populations. The Diabetic Impotence Study showed that type 2 diabetic subjects who consumed more than 33 g alcohol per day had a higher risk of developing impotence and retinopathy than those who drank less [19, 20]. In contrast, Moss et al. found the lowest risks (although not significant) of incident retinopathy, progression of retinopathy, and progression to proliferative retinopathy in their highest drinking category (>28 g/day). The incidence of diabetic neuropathy was positively related with higher scores on an alcoholism screening questionnaire , and in regular heavy drinkers a higher prevalence of symptomatic peripheral neuropathy was found . As in the general population , the observed mortality risk reduction related to moderate alcohol consumption in type 2 diabetic subjects could largely be attributed to the reduced risk of CHD. The beneficial effect of moderate alcohol consumption on markers of inflammation and endothelial dysfunction , on arterial intimal medial thickness , pulse wave velocity , HDL cholesterol , and insulin sensitivity  may all partly explain the reduced CHD risk. Since these factors are usually abnormal in individuals with type 2 diabetes, their improvement due to alcohol consumption may explain the larger CHD risk reduction compared with that in the general population. Alcohol consumption may result in hypertriglyceridaemia, hypertension and weight gain in individuals with type 2 diabetes. At moderate levels of consumption this apparently does not result in a higher risk of CHD or total mortality. It should be noted that the number of cases included in this meta-analysis was relatively small. Because the lowest limit of the highest drinking category was only 18 g/day, inferences about the effects of heavy drinking by type 2 diabetic individuals cannot be made from this meta-analysis. However, some studies identified in our systematic review but not included in the meta-analyses suggest that heavy drinking may increase the risk of cardiovascular and other complications of type 2 diabetes. In conclusion, in line with findings in the general population, our results indicate that in type 2 diabetic patients moderate consumption of alcohol is associated with a lower risk of CHD and total mortality. The authors wish to thank I. Riphagen, Medical Library, Vrije University, Amsterdam, for her assistance with the literature search. This work was supported by an unconditional grant from the Alcohol Task Force of the European branch of the International Life Sciences Institute (ILSI Europe). Industry members of this task force are Allied Domecq, Brasseries Kronenbourg, Diageo, Heineken and Moët et Chandon. The opinions expressed in this article are those of the authors and do not necessarily represent the views of ILSI Europe.